The systemic administration of nanoparticles activates an inflammatory response because of the accumulation of blood components on their surface. 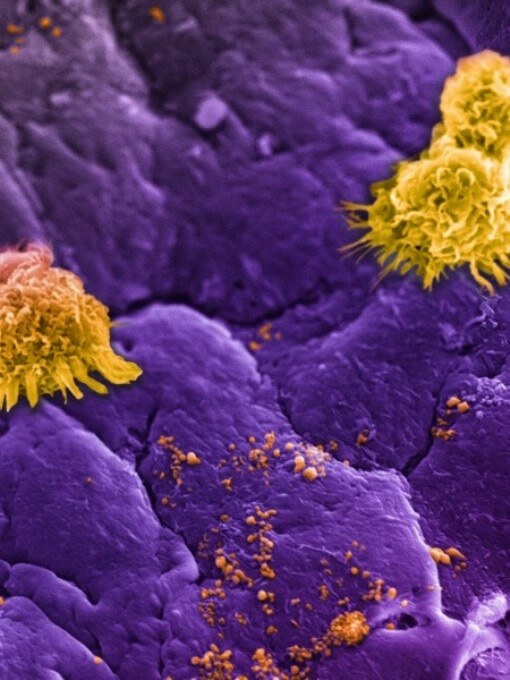 This was demonstrated by a Houston Methodist-led research team, and this finding could help researchers to develop more efficient ways that will help prevent the activation of the immune system and direct therapies in patients in a more precise manner. The team recently explained how specially-engineered nanoparticles (leukosomes) injected into mice can help prevent the development of a layer of biomolecules (protein corona) surrounding their surface. This explanation was presented by the team in the journal ACS Nano. The natural defense response of the body to the formation of this protein is to filter out the foreign objects, here referring to the nanoparticles. The presence of macrophage receptors, that is, immune system regulators, on the surface of the leukosomes enhanced the time taken by these nanoparticles to stay in the body in order to attain their target. In 2016, Ennio Tasciotti, Ph.D, senior author and director of the Center for Biomimetic Medicine at Houston Methodist Research Institute and team developed these leukosomes and examined their capability to treat localized inflammation (May 23, 2016, Nature Materials). Leukosomes are capable of targeting inflamed tissues as their design mimics immune cell membranes. Now we have a clearer understanding of how to use our leukosomes to evade those immune cells and prevent the body’s inflammatory response. We’ve known overactive immune cells can behave like Pac Men, gobbling up the nanoparticles and ridding the body of these ‘foreign invaders’ before they reach the intended target. Understanding how to treat inflammation by overcoming the defense mechanisms of the body could lead to a wider range of applications for treating diseases characterized by inflammation such as autoimmune, cardiovascular and cancer diseases. The research in ACS Nano enhances the understanding of the overall properties of leukosomes, and studies in the future will have to focus on proving the benefits to patients and the ways that will prevent the human body from rejecting targeted therapies. The Italian Ministry of Health, National Institutes of Health and National Cancer Institute, the Department of Defense (BCRP Innovator Expansion), William Randolph Hearst Foundation, and The Cullen Trust for Health Care supported this research. The researchers who worked together with Tasciotti are: Francesca Taraballi, Naama E. Toledano Furman, K.A. Hartman and Enrica De Rosa (Houston Methodist Research Institute, Houston, TX); Claudia Corbo and Roberto Molinaro (formerly at Houston Methodist Research Institute and now at Harvard Medical School, Boston, MA); Dickson K. Kirui (formerly at Houston Methodist Research Institute and now at Naval Medical Research Center, San Antonio, TX); Francesco Salvatore (University of Naples, Naples, Italy); and Michael Sherman (University of Texas Medical Branch, Galveston, TX).